Why are babies vulnerable to choking? Choking is a common cause of injury and death in young children, primarily because their small airways are easily obstructed. It takes time for babies to master the ability to chew and swallow food, and babies might not be able to cough forcefully enough to dislodge an airway obstruction. As babies explore their environments, they also commonly put objects into their mouths — which can lead to infant choking. Sometimes health conditions increase the risk of choking as well. Children who have swallowing disorders, neuromuscular disorders, developmental delays and traumatic brain injury, for example, have a higher risk of choking than do other children. What are the most common causes of infant choking? Food is the most common cause of infant choking. However, small objects, parts from toys and certain types of behavior during eating — such as eating while distracted — also can cause infant choking. Properly time the introduction of solid foods. Introducing your baby to solid foods before he or she has the motor skills to swallow them can lead to infant choking. Wait until your baby is at least 4 months old to introduce pureed solid foods. Don’t offer high-risk foods. Don’t give babies or young children hot dogs, chunks of meat or cheese, grapes, raw vegetables, or fruit chunks, unless they’re cut up into small pieces. Don’t give babies or young children hard foods, such as seeds, nuts, popcorn and hard candy that can’t be changed to make them safe options. Other high-risk foods include peanut butter, marshmallows and chewing gum. Supervise mealtime. As your child gets older, don’t allow him or her to play, walk or run while eating. Remind your child to chew and swallow his or her food before talking. Don’t allow your child to throw food in the air and catch it in his or her mouth or stuff large amounts of food in his or her mouth. Carefully evaluate your child’s toys. Don’t allow your baby or toddler to play with latex balloons — which pose a hazard when uninflated and broken — small balls, marbles, toys that contain small parts or toys meant for older children. Look for age guidelines when buying toys and regularly examine toys to make sure they’re in good condition. Keep hazardous objects out of reach. Common household items that might pose a choking hazard include coins, button batteries, dice and pen caps. Before you even get to this worst-case scenario, the smartest thing you can do is take a class on baby choking and infant CPR. “In the heat of the moment, it’s hard to know how to do it correctly,” Shook says. “Although 911 can walk you through it, if you’ve never done it, it’s very difficult.” Find a class near you and get certified! 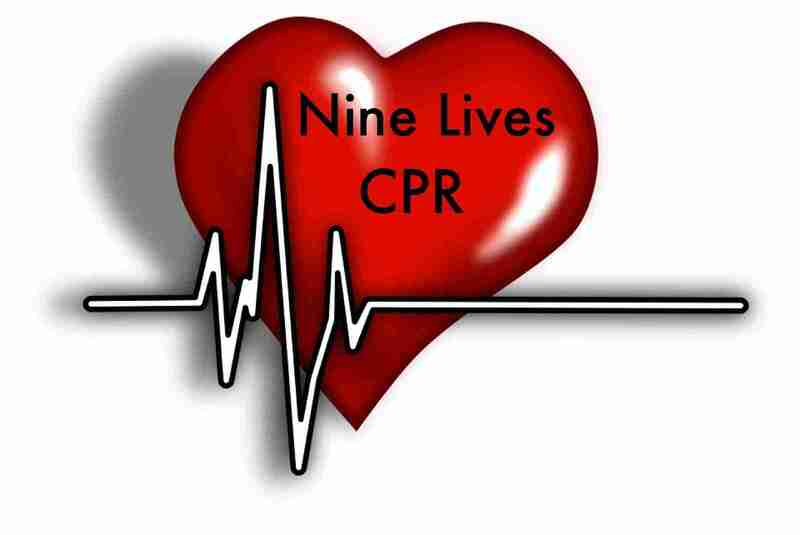 Nine Lives CPR offers many class options to fit your needs.